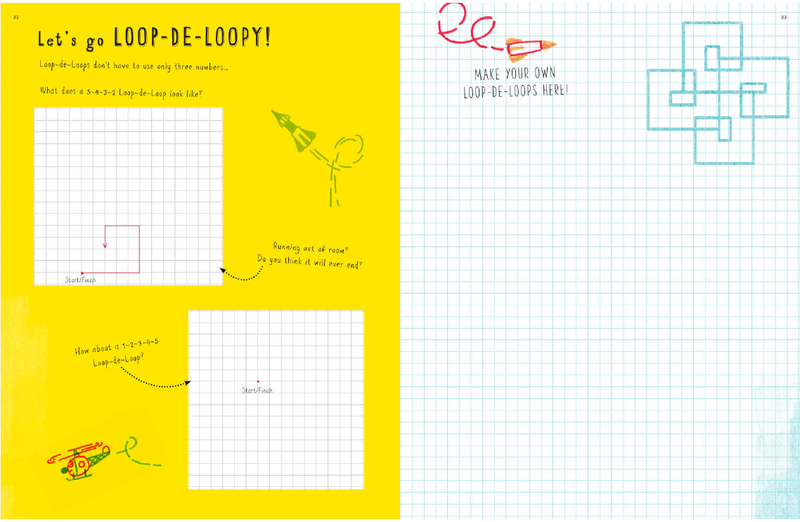 Interrupt your regular math programming to try this fantastic math doodling investigation! Anna Weltman wrote a math/art book. It’s great fun for all ages, full of fantastic mathematical explorations — including spirolateral math doodles. To make a spirolateral, you first pick a short series of numbers (1, 2, 3 is a traditional first set) and an angle (90° for beginners). On graph paper, draw a straight line the length of your first number. Turn through your chosen angle, and draw the next line. Repeat turning and drawing lines, and when you get to the end of your number series, start again at the first number. 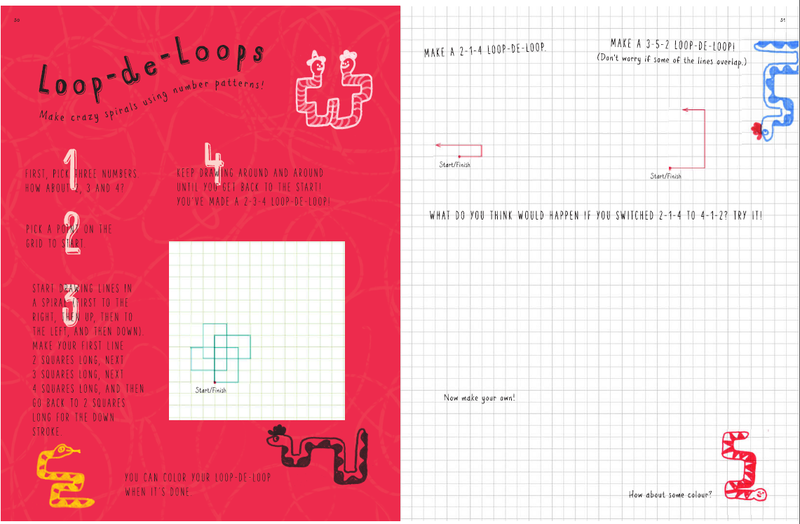 Download and print Anna’s Loop-de-Loop Lesson Instruction Page and Student Work Page. Print some extra graph paper for continued play. Check out Anna’s blog post for more ideas. Explore what happens when you make spirolaterals on triangle graph paper, too. Some spirolaterals come back around to the beginning, making a closed loop. Others never close, spiraling out into infinity—‌or at least, to the edge of your graph paper. Mike Lawler and sons explore Loop-de-Loops: Part 1, and Part 2. Martin Gardner, “Worm Paths” in Knotted Doughnuts and Other Mathematical Entertainments. 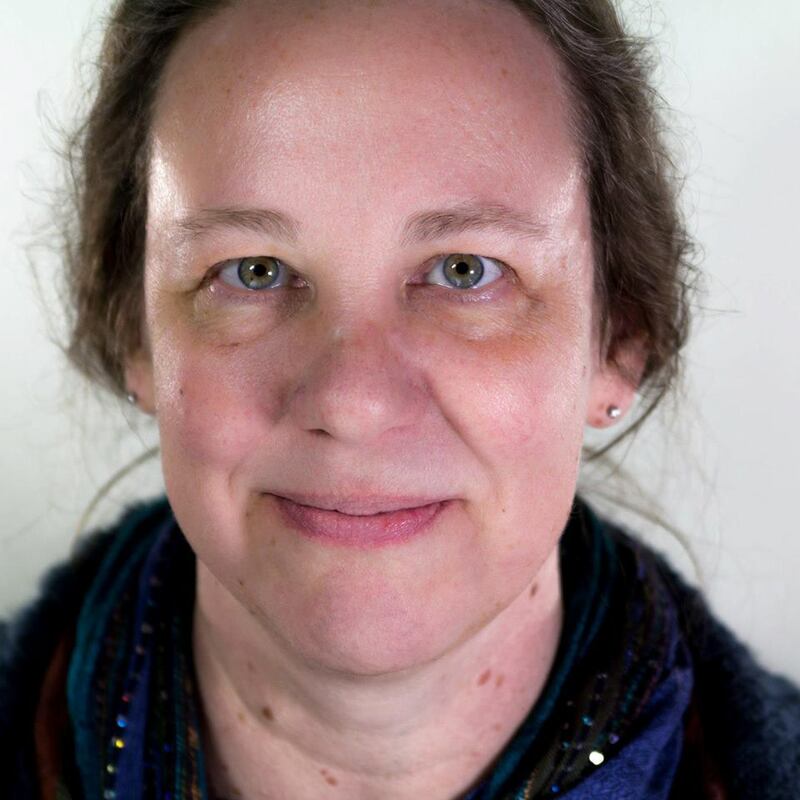 Anna Weltman appeared on Let’s Play Math blog once before, with the game Snugglenumber. And she’s a regular contributor to the wonderful Math Munch blog. Thank you so much for sharing these, Denise, they look great. I haven’t stopped to comment here in far too long but I do continue to appreciate all the fab maths ideas you take the time to post. It’s been a few years since we switched to your “Let’s Play Math” approach and we’re all still loving maths. It seems to get more and more fun as the children get older! Hi, Lula! It’s great to hear from you. Yes, math gets more fun as the kids get older, because it’s so exciting to see them wrangle with ideas on their own. They never think things through exactly the way I would, and sometimes their ideas are so much better than mine. For example, with these spirolaterals, my daughter noticed a pattern in the way some loop around while others spiral off into infinity. And after thinking about it for awhile, she came up with a proof for why it happened and predicted what longer series of numbers would do.